New Delhi: Through the notice on natboard website, NBE has invited applications from hospitals / institutions / medical colleges for seeking fresh / renewal of accreditation in various DNB/FNB programme for year 2017 in NBE prescribed format.Information Bulletin & Application Form 2017 can only be downloaded from NBE website www.natboard.edu.in under quick link “Accreditation with NBE”. INSTRUCTIONS FOR DRAFTING AND FILING THE APPLICATION FOR SEEKINGACCREDITATION WITH NBE – 2017. INFORMATION BULLETIN: The information bulletin contains the details of minimum requirement(s) / criteria for seeking fresh/renewal of accreditation with NBE. MAIN APPLICATION FORM:This part of application comprises of information, which is common/applicable to all specialties. The applicant hospital/institution is required to submit a single set of MAIN APPLICATION FORM in original for all specialties in which accreditation is being sought in a particular year. In other words, the Main Application form shall be submitted only once in a calendar year and it should not be resubmitted in case of multiple applications being submitted by the hospital/institution in that same year. SPECIALTY SPECIFIC APPLICATION FORMS:This part of application comprises of specialty specific information and will be unique for each specialty in which accreditation is being sought. The applicant hospitals/institutions are required to submit a single separate set of specialty specific application form in original for each specialty. A duplicate copy of the same should be provided to NBE appointed assessor by the applicant hospital / institute at the time of assessment of the concerned department. Main Application form is not required to be resubmitted with each separate set of Specialty Specific Application form if it has already been submitted once in a particular calendar year. BANK CHALLAN FOR FEE PAYMENT: Guidelines for fee payment are detailed in the information bulletin. The cut off date for submission of application seeking fresh / renewal of accreditation to NBE is 06th March 2017. Main & Specialty Specific Application together makes an application complete. Main Application ‘OR’ Specialty Specific Application can not be processed in isolation. Incomplete applications and/or applications not submitted as per the information bulletin and application form prescribed for year 2017 shall not be processed. 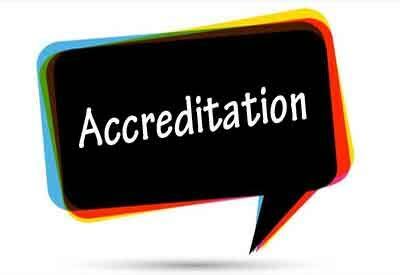 State owned District / Civil / General Hospitals desirous of seeking accreditation with NBE for DNB Broad Specialty Programme should write to NBE at email ID: accr@natboard.edu.in for Information Bulletin & Application Form for DNB programme in District Hospitals.